BRIAN A. BECK, is a graduate of Kutztown Area High School and The Electronics Training Center. He was a long-time employee of International Business Machines Corporation (IBM), working as a Customer Engineer for 42 years. Brian is an active member of the Kutztown Community. 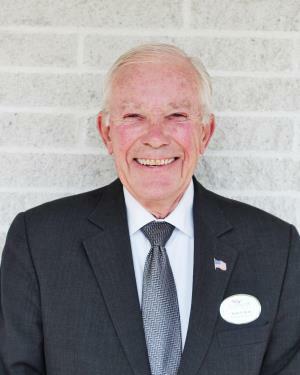 He serves as a member of the Church Consistory and the Chairman of the Property Committee at Saint Paul’s United Church of Christ, Kutztown; The Kutztown Historical Society, The Kutztown Rod and Gun Club, and The Kutztown Fire Company. Brian lives in Kutztown with his wife, Ethel M. (Wertz) DeMatteo-Beck; and has two children, Scott Beck and Jennifer (Beck) Kleiman; two step daughters, Christina (Dematteo) Luckenbill and Marcie DeMatteo; and eight grandchildren, Sydney, Christian, Phillip, Allan, Mitchell, Ellayna, Jarad and Tyler. In his free time, Brian enjoys working on his collection of classic cars and working around his home. He has been a member of our funeral staff since 2015. Brian enjoys helping people, especially in their time of need.